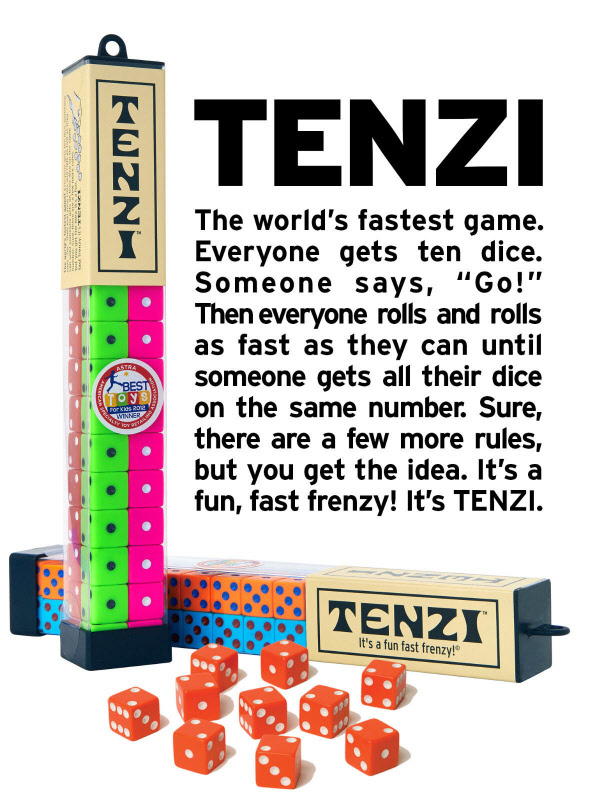 Tenzi dice games are great for family get-togethers, parties, or a game night. You and your family will love playing TENZI! Tenzi Original comes with 4 different colored dice sets. This is a game that you will want to keep in your home, cabin, vacation home, etc. With so many ways to play Tenzi, you’ll be entertained for years to come! Note: Each set of Tenzi has different colored dice. Every pack of Original Tenzi has 4 different colored dice, each different from the last pack. Colors will differ from shown in our listings pictures. · More dice, more friends, more family, more fun!